Read what employers and graduates, both locally in Cleveland and nationally, are saying about the Captioning and Court Reporting program here at Cuyahoga Community College. “Being an online student at Cuyahoga Community College has been an amazing life-changing experience. The instructors with the voicewriting program are knowledgeable about the profession and the technology, supportive of any goals or ideas students may possess and are very accessible for any immediate needs students may have. The real-time writing technique that is presented in class is most beneficial to the student and will be the skills needed to perform high accuracy in today's job market. Choosing this career has been the best decision I have ever made in my lifetime." "The education I received at Tri-C unequivocally placed me where I am today, thriving in my career in the court reporting industry here in Columbus, Ohio. The educational environment of my phenomenal teachers and the academic structure at Tri-C enabled me to reach for the stars and grab them many times over! Also, teaching court reporting after graduation has given me an extra level of professional satisfaction and success to which there are no words to describe. Giving back has been quite a treat and an unexpected bonus! Thank you, Tri-C, for the outstanding education and fantastic journey! I've never been happier." "Tri-C's court reporting program prepared me for success in the field. I went into my job knowing everything I needed to know. I received a great education from fabulous instructors who have experience in the field and my best interests at heart." 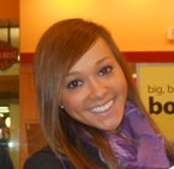 “Tri-C provides excellent shadowing experience before graduation. Hearing feedback from the people I have worked for has validated that I made the right choice for college." "I highly recommend the court reporting program at Tri-C. Each of the teachers are knowledgeable in the court reporting field and have had past or current experience in the profession. I’m glad I picked Tri-C for court reporting school!"